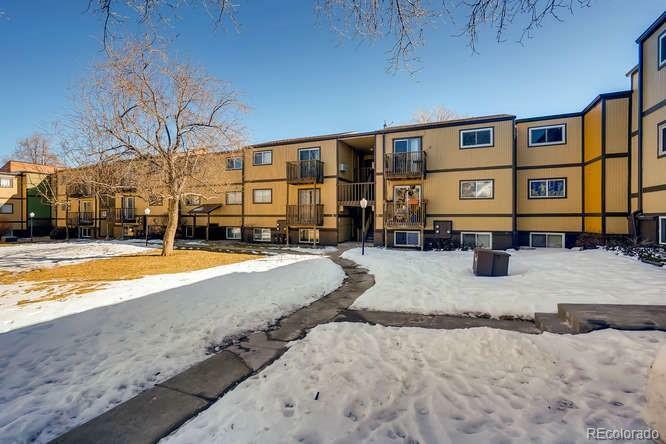 Beautifully updated 2 bd/ 1 ba condo in the Heart of Golden! You'll love all of the upgrades: newer carpet, windows, kitchen flooring, and bathroom remodel. Fantastic open floorplan with spacious living room and dining room perfect for entertaining. The boasts updated tile floors, plentiful counter space, and 42'' cabinets. Generous master bedroom with en-suite access to the updated full, jack-and-jill bathroom. Secure quiet building in an incredible neighborhood that has close access to numerous parks, Table Mountain Hiking Trails, Colorado School of Mines, Colorado Mills Mall, downtown Golden, and easy access to the mountains and major highways. Low HOA fee covers water, trash, and sewer. Rare Reserved Parking Space & Storage Unit. Selling Office: Golden Real Estate, Inc.